If we are to conclude anything from the Jelling Musikfestival 2016, it could be at least three different things. First thing is about the festival’s ability to create an uniquely convenient, pleasant and all over relaxing atmosphere of any pop-rock festival in Denmark. The second is about the management’s talent for always finding one or two international names to make the little borough of Jelling stand out. The third – and for Danes very important – is the reassuring fact, that the country still produces young new talents with a capital ‘T’. This year’s festival was a bit larger than the previous years. This was done to make room for the largest name ever to play the Jelling festival – British veterans, Queen + Adam Lambert. For the first time ever, 38,000 guests were allowed into the area and of course that put more pressure on logistics. But apart from a bit more traffic after the main event, the first conclusion is; Jelling Musikfestival handled it sublimely! Friendly and helpful staff everywhere, easy access to a variety of food, beer and other beverages and a high standard of sanitary facilities. In fact, it was the nicest and cleanest toilets I had ever seen at any festival venue. Quite a benchmark! Second conclusion evolves around the internationally rather small festival’s ability to attract big international names. Queen and Adam Lambert being the latest of a long list, counting names like Sir Elton John, B.B. King, The Script, John Fogerty, Jean Michel Jarre, Manic Street Preachers, Ozzy Osbourne, Texas and many more. Despite the immense focus on the iconic superstars on main stage, the big surprise this year occurred on the smaller stage ‘Teltet’. The Brooklyn-based indie folk trio ‘The Lone Bellow‘ managed to utterly spellbind a more than qualified crowd for almost one-and-a-half hour. Zach Williams (lead singer, guitar), Kanene Donehey Pipkin (mandolin, bass, vocal), Brian Elmquist (guitar, vocal) and their support musicians Justin Glasco (drums) and Jason Pipkin (piano, keyboard, bass) delivered a flawless gig with moments of roaring laughter and heartfelt tears, as well as utterly breathtaking vocal work from all three band members. Everything peaked liked fireworks despite the fact that this was the only gig in Europe on this tour. Countless star moments along the way. 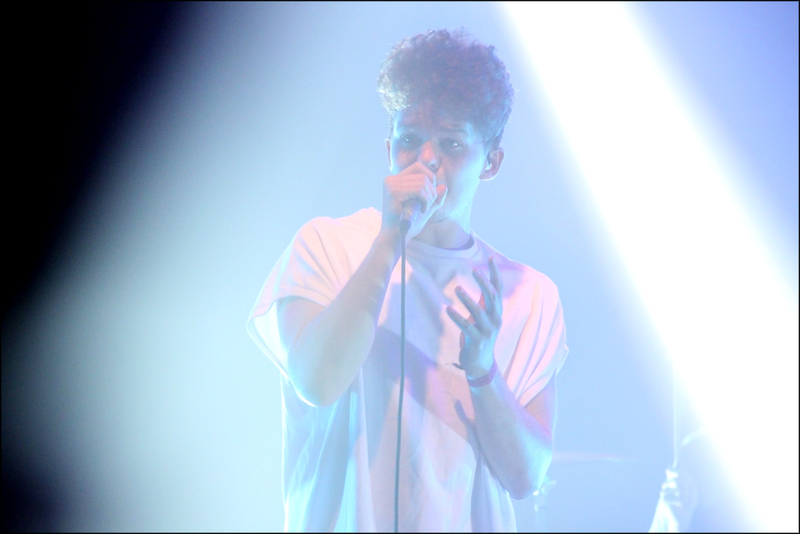 One particularly beautiful, as lead singer Williams made the crowd sing the backing vocals of ‘Then Came the Morning‘ – ending the song and the gig with the band silently listening to the audience still singing the harmonious chorus. Felt like once in a lifetime! 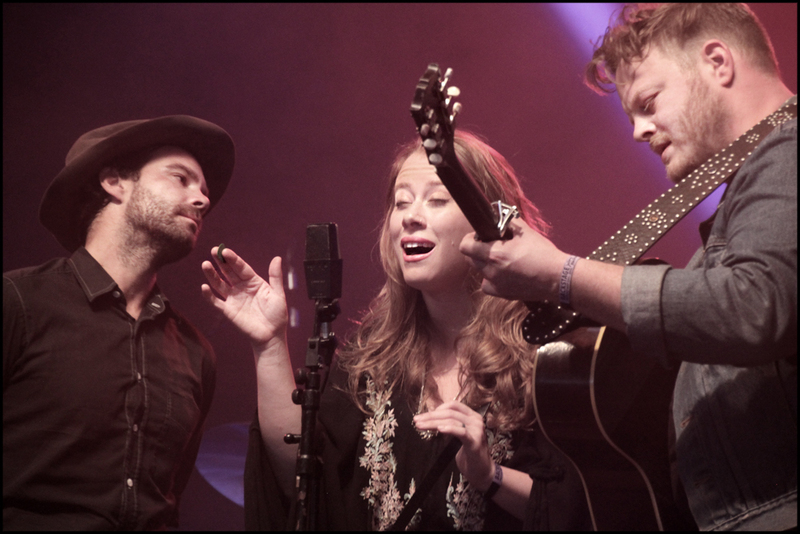 Reviews in Danish papers righteously praised The Lone Bellow for the undoubtedly best concert at this year’s festival. We at Latebar fully concur. The third and final conclusion was already settled Thursday night at the very beginning of the Festival. At the age of 15, Martin Hedegaard won the Danish edition of X-Factor in 2008. Since then everything went quiet around the obvious shooting star. This year he has returned with his band ‘SAVEUS‘. And what a superior surprise. With an energetic hurricane of melodic rock tunes, the band blew the audience out of the stage ‘Teltet’ even before the first sip of beer was consumed. A sound reminder that Denmark is still capable of producing extremely skilled and hardworking acts of (perhaps) international class. We will for sure be following SAVEUS in the years to come. A grand finale with Queen and a gorgeous Adam Lambert ended an all-in-all wonderfully executed Jelling Musikfestival. Other brilliant acts like L.I.G.A, Jonah Blacksmith, Dúné, Turboweekend, Velvet Volume, and scores more could have been mentioned here. All of them surely making another reason for returning in 2017. See you there! Jelling Musikfestival started in 1989 and has grown into the third largest in Denmark after the festivals in Roskilde and Skanderborg. Always placed around the last weekend in May, Jelling is set to mark the beginning of the official festival season in Denmark. 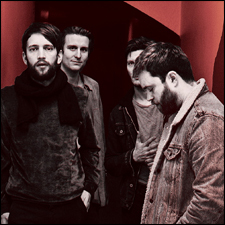 This entry was posted on Sunday, June 19th, 2016 at 9:29 pm	and is filed under Music - live. You can follow any responses to this entry through the RSS 2.0 feed. You can leave a response, or trackback from your own site.